I participated in an Influencer Activation on behalf of Influence Central for SwimWays. I received product samples to facilitate my review and a promotional item to thank me for my participation. A day off is like a myth because there is always something to do around here, but whenever we do get a chance to escape to the beach or a local park, we make sure we really enjoy our time as a family. Some days are tough, and we really only have time for a morning swim in our pool and then off to do errands. When we moved to Florida, we knew we would be spending a lot of time by the pool and at the beach so we needed something that would protect our little one not only in the water but also from the sunrays. 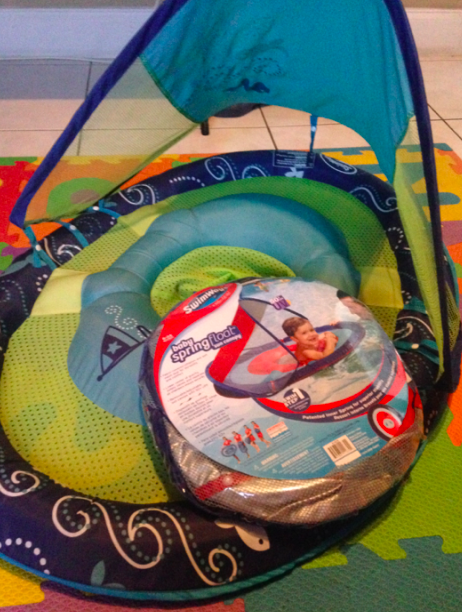 We found the SwimWays Baby Float Sun Canopy at ToysRUs and did not think twice about buying it for our then nine-month-old son. We used it up until he turned one, and a little after. Around this time, Sebastian felt he was okay to roam the pool on his own and are slowly teaching him how to swim. Of course, we always think twice when Sebastian gets a bit nutty and we are reminded that there are ways to get him swimming in just days. The SwimWays Baby Spring Float is a great product to help parents introduce their little ones to the water for the first time. It is part of the Swim Steps line of products SwimWays created to turn your child into a confident swimmer. 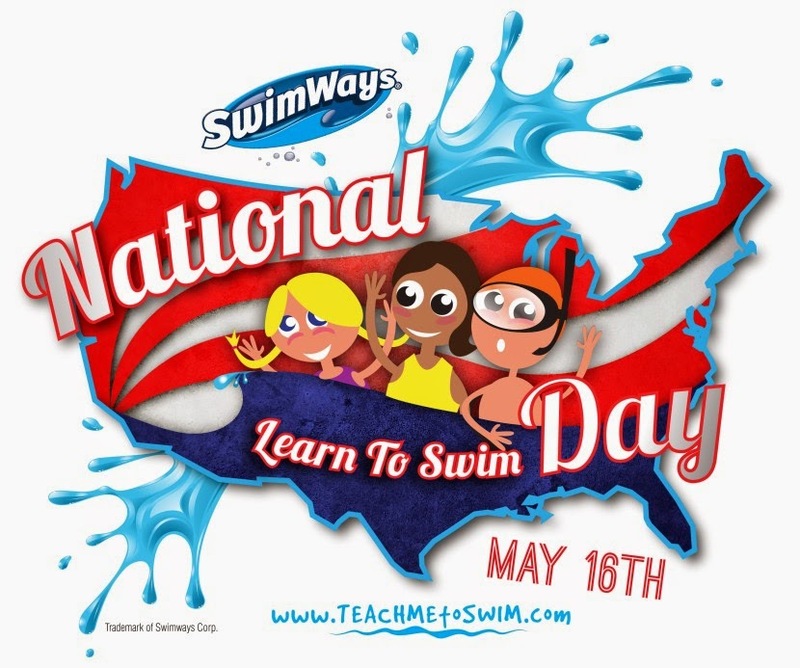 How Will You Celebrate National Learn To Swim Day? The 4th annual National Learn to Swim Day is this Saturday, May 16. It is a day designed to remind parents and guardians the importance of water safety and how to use proper swim instructions. SwimWays considers swimming to be an important life skill and that all children should have the opportunity to learn to swim. MomCentral and SwimWays will be sharing how best to have fun in the water this summer! Prizes: 2 pre-party winners and 6 party winners will receive a $50 gift code & SwimWays products!